Travels and Trdelnik: Sugar Shock. And as everyone who knows me well also knows, I have been interested in the topic of health for years and years. Since I was around the age of 20, for whatever reason health came to be a topic that really drew me and it still does. I love to read about it, talk about it and learn about it. I find it fascinating. During my first two years of college, I was originally going to school for a Bachelors degree in Health Science. Ultimately I changed it to Communications (after having taken a public speaking course which I was shocked by how much I loved. So much so that I changed my major). But within the two years that I was going for health science, I was able to get a number of health courses under my belt, all of which I loved. And finally, as everyone who knows me well knows, I also LOVE food. Especially all things sweet. Chocolate cheesecake, cupcakes, donuts, strawberry shortcake, you name it. If its a sweet, I am all over it. During the past few months, I have begun reading more about food science and nutrition. I also started to notice a direct correlation between whenever I would down an especially high number of sweets within a day (even more then my usual intake), my skin would seem to break out literally the following day. I wondered if maybe I was making up the connection in my head, or whether or not it was a valid one and there was in fact a direct correlation. 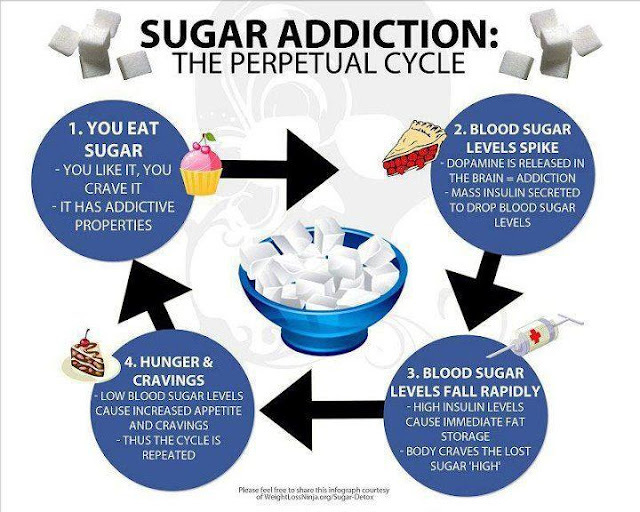 --Apparently, sugar is 8x as addictive as cocaine. I have read this from more than one source. This was an especially shocking discovery for me, though in the back of my mind, I also found myself admitting, huh, that sort of makes sense though. 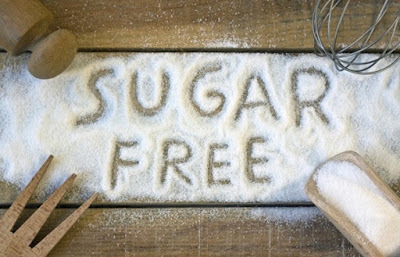 --Sugar directly contributes to wrinkles, age spots, blemishes, lackluster skin and cellulite. Its literally toxic for your body. --Its a major form of AGE formation in the body, which leads to breakdown of collagen, connective tissues and even your vascular system. --Its highly addictive, acidic and inflammtory for your body. --Sugar steals nutrients and hydration from your skin, it suppresses your immune system making you more prone to illness, and feeds bad bacteria. --Eating sugar blocks your brain from effectively signalling fullness as well as slows fat burning. 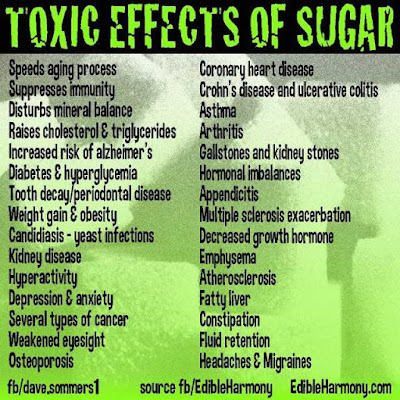 --There have been direct connections between consuming sugar and cancer. --Eating sugar causes tooth decay. --Artificial sweeteners are also toxic. They cause water retention, bloating, indigestion, headaches, sugar cravings and weight gain. So they arent really any better. 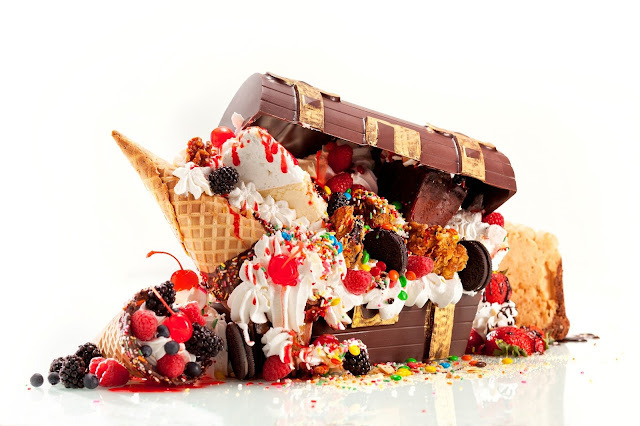 Here is an article with a few more compelling reasons why sugar is terrible for you. Ready for the really depressing news? There is sugar in almost EVERYTHING. 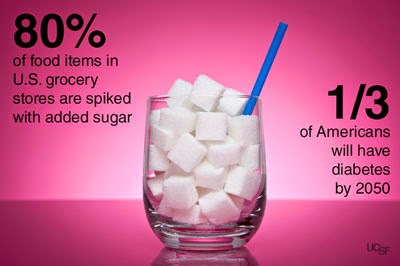 Literally everything you purchase that is in a can, box or container has added sugar in it. Even milk, especially skin milk, has added sugar. The reason for this? To get you to want to eat and buy more of it. (Source: Salt, Fat and Sugar by Michael Moss, a NY Times Bestseller about how the food giants have hooked us). So, going sugar free? The food industry does everything in their power to make that super tough for you. Because they want you hooked on it so that you will continue to buy their products. Nowadays, we consume more sugar then ever before. I bet you didn't know a lot of this information! I certainly didnt. The more and more I have read, the more compelled I am finding myself. While its slightly depressing for me to realize, I have to give up sugar. And actually, despite it sometimes being hard, I want to. As of now, I haven't eaten any sugar (with the exception of the 4 days I was away with my 4th grade class camping, as well as the 1-2 days upon my immediate return) in about a month. The first week going without it is the hardest. After that, it gets easier and easier. I imagine, much like giving up any other addiction. Not surprisingly, upon giving up sugar, I feel noticably and signifigantly better. My skin cleared up rapidly. Its better than its been in years. I have more energy. I feel happier. I am less tired. I feel slimmer and less bloated. 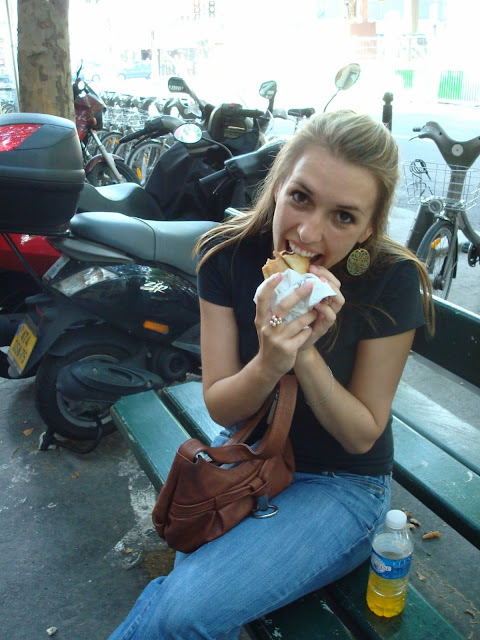 I dont feel nearly as hungry, just in general, as I used to. The subtle but very noticable shifts are astounding. And they drive home the truth of everything I have read about it. But of course, I miss chocolate. I miss the texture of cake. Really, I think there is nothing like that moist, sweet, cakey texture. However, in giving up sugar, I have found ways to still enjoy foods masquarading as sweets that feel like indulgences, when actually, they arent. In fact, they are pretty healthy overall. No sugar, very low in fat, made with healthy ingrediants. 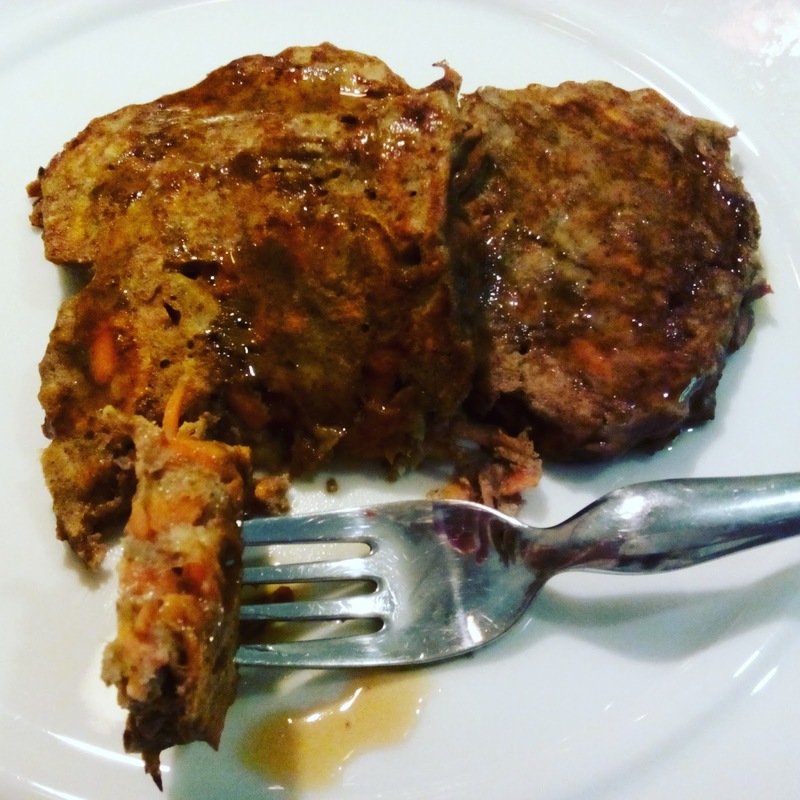 So, in the spirit of health and in encouragement for others who want to lessen their sugar intake, I thought I would share two of my recent favorite recipes with you. Super easy, and shockingly yummy. -1/2 cup of smooth nut butter, melted (I recommend sunflower seed butter. Tastes just like Peanut Butter but better for your health). 1. Preheat oven to 350 F/178 C. Grease an 8x8 square baking pan and set aside. 2. Mash the bananas well. Add in the 1/2 of smooth nut better (melted in the microwave first). Stir in the cocoa powder. 2. Pour mixture into an 8x8 square baking pan. Bake for 20-25 minutes or so, until a knife comes out clean from the middle. 3. Meanwhile, while this is baking, make the frosting. Combine the three ingrediants in a bowl. Mix well by hand with a fork. Put in the fridge covered. 4. Once the brownies are done, remove from oven. Allow to cool completely. I recommend cutting them into squares, removing the squares from the baking pan and then frosting each one individually. 5. They taste best when cold. 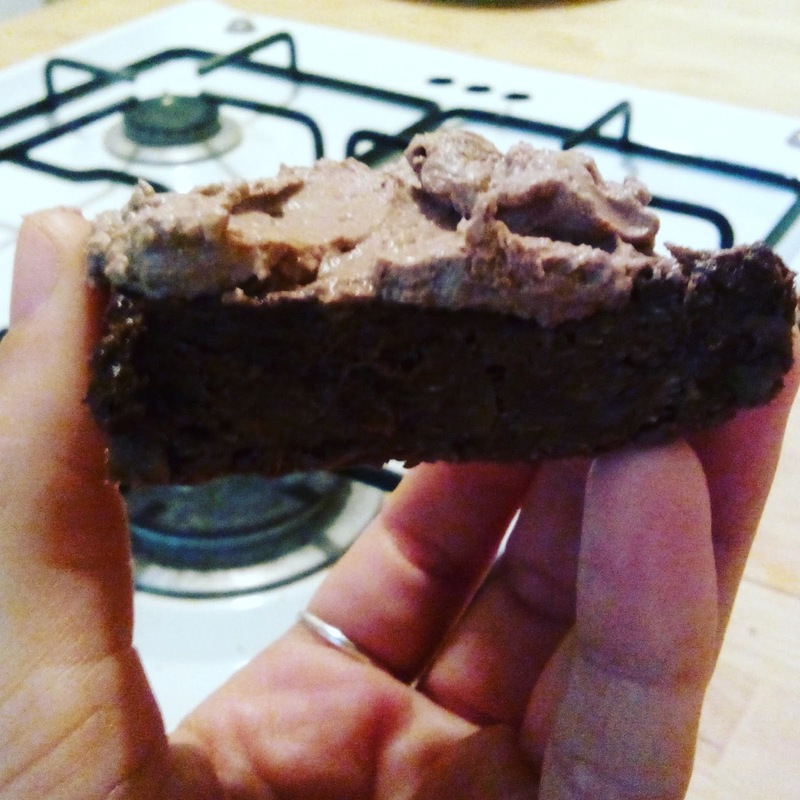 Therefore, I suggest putting the finished and frosted brownies in a Tupperware container into the fridge and enjoying them later, a couple of hours or so. The brownies will keep well for 3-4 more days. YUM!!! 1/4 cup of nut butter, slightly melted (I recommend Sunflower Butter. Its cheap and tastes just like Peanut Butter, except its better for you). 1. Mash the bananas well. 2. Add in the eggs. Beat/mix together for 20-30 seconds or so, until blended. 3. Add in the nut butter, honey and vanilla extract. Mix well. 4. Add in the spices (I recommend taking a small taste of the batter, though be careful due to raw eggs. If it tastes good, thats a positive sign that the sweetness and spices are to your liking level. If not, add more). 5. Fold in the grated carrots. Mix well so that everything is combined evenly. 6. Heat a skillet to medium hot. Grease with a bit of butter or coconut oil. Keep the pancakes small. I usually heap 2 spoonfulls onto the skillet as one pancake. Cook for roughly 1-2 minutes on each side. They will not really bubble like normal pancakes do. Once each pancake is golden brown and looks finished, remove and place on a plate to cool. 7. 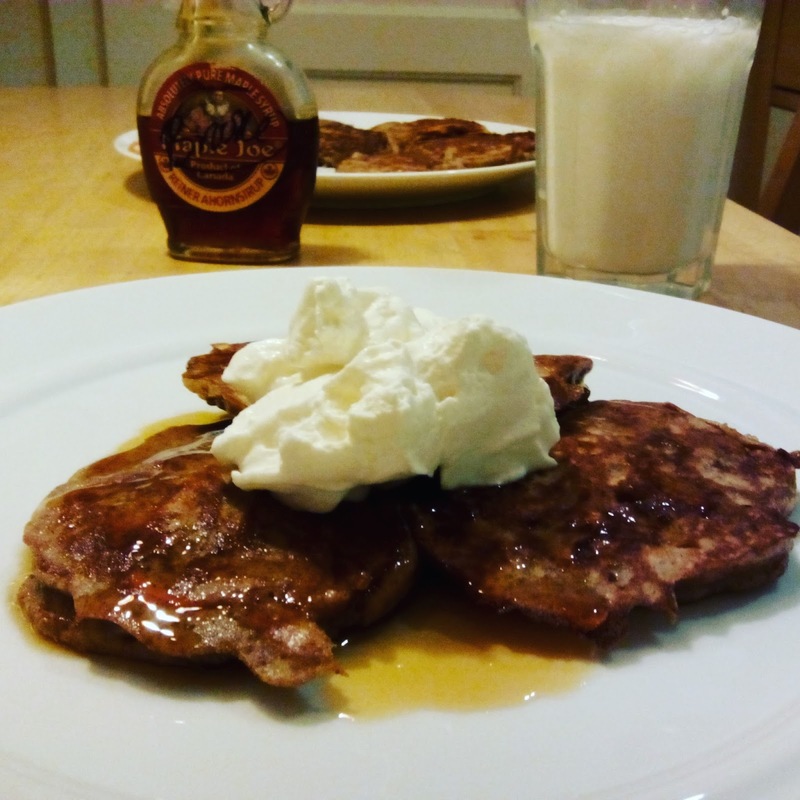 Enjoy with maple syrup. SO yum!! I am hooked on these things. 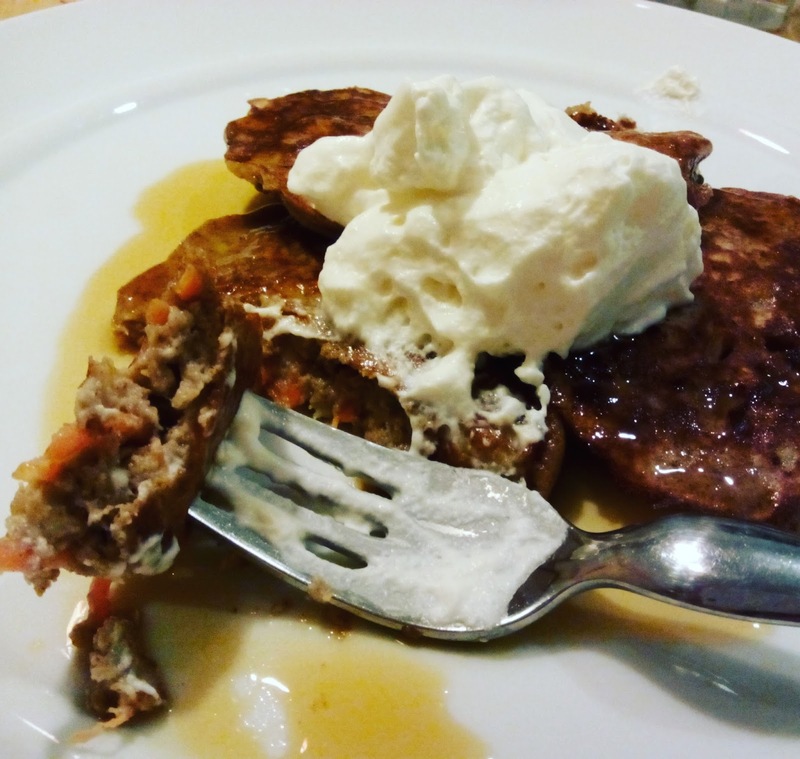 (I topped mine with a homemade sugar-free whipped cream. I bought heavy cream, added in a squeeze of honey-really not much, and about 1 tsp of vanilla, then whipped it for around 4-5 minutes until it reached desired texture. Delicious, lightly sweet, awesome). 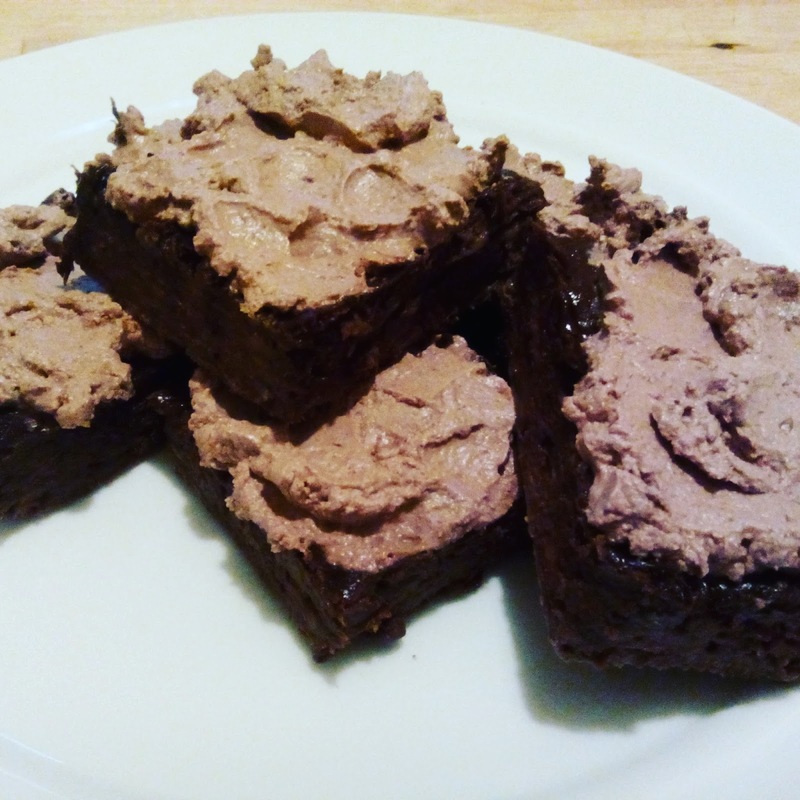 I hope you will feel inspired by one, if not both, of these recipes. Give them a try! They are SUPER easy, really, you will be shocked. And really yummy. Initially they might not taste sweet enough to you. I felt the same. But the less sugar you consume, very quickly, they will taste more then sweet enough for you. 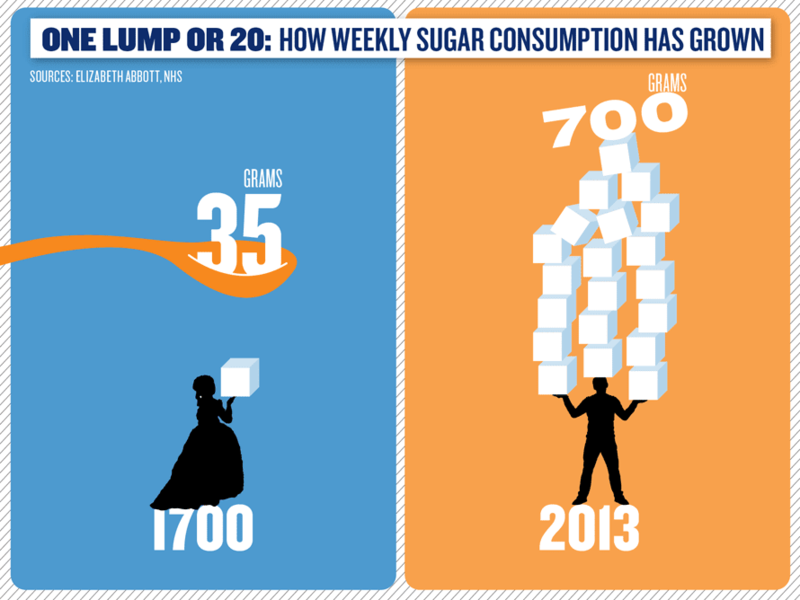 You're correct: less sugar = more healthy living! Yes :-D It took me....oh...30 years to decide to make this change? Haha. But I suppose better late then never. I will try your yummy recipes!it is so difficult to find sugar (carbohydrate free) meals. :-D let me know what you think! Fair enough :-) though judging without even trying...thats too bad! I was surprised by how much I ended up liking them.